Writing Inspirational Romance: This workshop covers the basic elements of novel writing especially focused on inspirational romance. Understanding a Christian world view and dealing with spirituality will be covered as well as learning elements on developing believable characters, creating dynamic emotion while using the senses and setting, and developing compelling plot lines. Sexual tension is explained and how it differs from physical attraction. Finally a list of specific guideline rules for romance writing is reviewed. 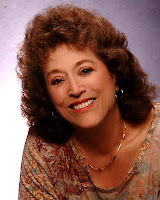 Multi-award-winning novelist and author of Writers Digest's book Writing the Christian Romance, Gail Gaymer Martin, writes women’s fiction, including romance and romantic suspense, for Steeple Hill and Barbour Publishing. She has forty published novels with over two-and-a half million books in print. Gail is a full-time novelist, popular keynote speaker and a workshop presenter across the United States and abroad.